Thinking about the new strategies and ways to upgrade your farm? Then you can’t miss a chance to take a look at the newest Farming Simulator 2019 Tractors Mods. Tractor is simply essential part of every farmer’s life, so it should be as modern and reliable as possible. 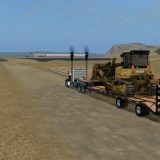 For this reason, we introduce you to our Landwirtschafts Simulator 19 Tractor Mods database, where you can choose between the greatest models. Be one step further than others with this brand-new equipment and accomplish your aims faster. Choose the most favorite Tractors Mod Farming Simulator 2019 from our list and test it in real life. Pay attention to the descriptions too because they are the main resource for getting the idea of what the particular model is capable for. 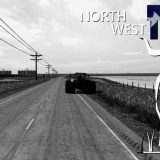 You can as well try more than one as FS 19 Tractor Mods free examples are completely costless. Therefore, there is no risk or boundaries – only many opportunities to increase your score and overall productivity. 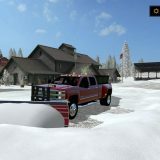 There is no need to think twice, simply complete LS 19 Tractors Mods download and add the files to your game and you will see, if it’s helpful for you. We guarantee that it will be but there is nothing better than seeing it personally. What could be better than exploring new features and using unseen functions? It’s simply amazing how much a little improvement can change. Increase your chances to outrun everyone and have much more fun playing. You will be as successful as never before, what could be cooler than that?